Keith Urban surprised the CMA audience and the country music fans watching at home when he debuted his new song, Female. There has appeared to be real change among some men in the world in recent times. Women (and men) are calling out the abuse, physical and emotional, brought on them by men in positions of power. Both past and present. These men have often not even seemed sorry for their actions. They apologize “If victims felt wronged”. They apologize seemingly more because they’re being called out on their behavior and not for their actual behavior. As a result of the situation Keith Urban recorded this song about respecting women. I don’t know what the right answer is for a song like this. 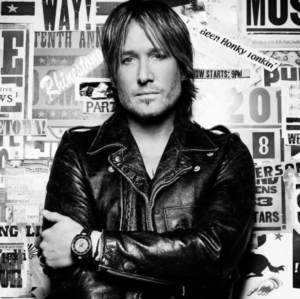 On one hand I think it’s strange for a male singer like Keith Urban to be the one to sing it. I think it’s strange that it’s written by three prominent male songwriters: Shane McAnally, Ross Copperman and Josh Osborne. I don’t know. I don’t know if it would have meant more for someone like Miranda Lambert to sing and write a song like this. Or for Carrie Underwood or Kelsea Ballerini to do the same. On the song side of things it’s melodic. It’s something that people will listen to repeatedly and sing along with. And Keith Urban is certainly respected by many for his empathy. He truly seems to care about others more than himself. He’s often described as one of the nicest people in Nashville. He’s also one of the few to make the transition to modern music consumption. He doesn’t worry as much about albums or physical sales. He makes music he cares about and gets it to the ears of anyone that wants to listen. Update: I see now that songwriter Nicolle Galyon is one of the cowriters. She also provides vocals along with Nicole Kidman, Urban’s wife. That adds another layer to the song. It takes away the feelings I had about it being written by three men and sung by a male vocalist. The song is now in the top ten and having a wonderful impact with the country audience. I’m a fan.